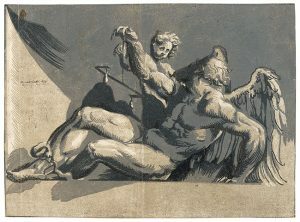 The Chiaroscuro Woodcut in Renaissance Italy at the National Gallery of Art | Ciao Washington! Chiaroscuro woodcuts are among the rarest and most beautiful prints that flourished throughout 16th-century Italy. The first comprehensive study devoted to this subject, The Chiaroscuro Woodcut in Renaissance Italy casts new light on the beginnings and remarkable efflorescence of this art form, informed by new art-historical and technical research carried out over the last decade. Arranged according to its broad chronological evolution, and bringing new attention to the materials and means of production, the exhibition presents the principal chiaroscuro workshops, with several works displayed in different color palettes. Embraced as a means of disseminating designs and prized as works of art in their own right, these prints exemplify the rich imagery, artistic innovation, and technical virtuosity of the Italian Renaissance. Presenting some 100 of the finest impressions from American and British collections. The exhibition will be on view from October 14, 2018, through January 20, 2019.